Chapel Gate Park is located at 57 Parkview Drive in the Chapel Gate Development in Reinholds. 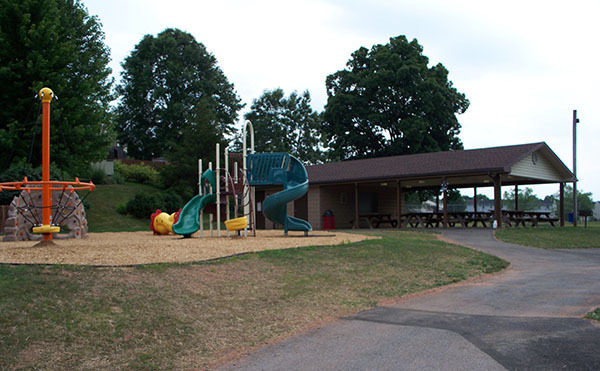 This park includes a walking trail, soccer field, baseball diamond, tot lot, basketball/all purpose court, and pavilion. Anyone may reserve the pavilion by calling the West Cocalico Township Office at 336-8720 between the hours of 8:00 a.m. and 4:30 p.m. There is a $50.00 non-refundable rental fee. There is a key needed to access the refrigerator and additional area. This can be picked-up at the Township Office one week before the rental date. A $50.00 refundable fee is required when the key is picked up and the fee is refunded when the key is returned. The pavilion has a countertop with electical outlets, 8 picnic tables, refrigerator, barbeque grill, laundry sink and bathrooms.